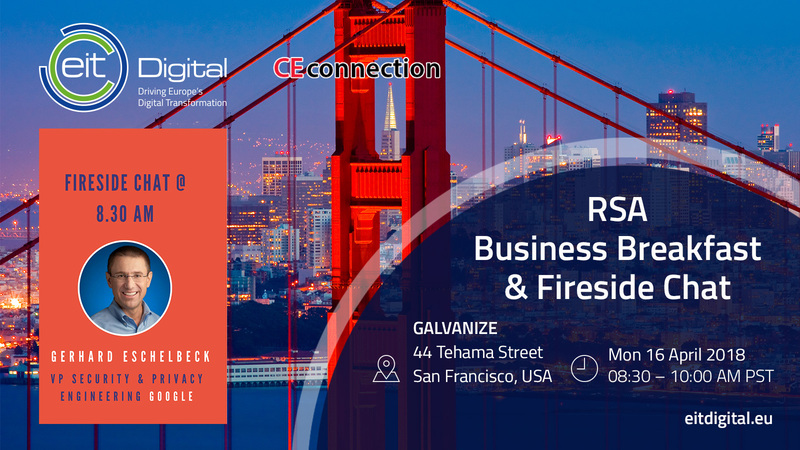 To start the RSA week in San Francisco, EIT Digital and CEconnection are happy to welcome Gerhard Eschelbeck, Vice President Security and Privacy Engineering at Google and fellow European, for an engaging fireside chat. Join us for a discussion and Q&A about security, cyber safety, innovations and startups in this field. The fireside chat will start at 8.30 am.